An annual highlight in the commodities calendar and taking place in the capital this week is London Metals Exchange Week. This high profile event provides key players in the global metals community with a great opportunity to meet up, discuss industry trends and most importantly, to network. The high profile nature of LME Week shows the importance of metals as a vital global commodity. LME Week addresses all areas of the metals supply chain and there are three main events during the week, the LME Metals Seminar, Annual Dinner and LME Focus Day – which investigates some key developments in the industry. This year the focus events are looking at; The Aluminium Market, Electric Vehicles, Precious Metals, Steel, Brexit and Clearing. The LME also cites a number of important macro tends that are on the horizon for the sector and which will be addressed during the week, including challenges in the global political landscape, a changing and developing market, price fluctuations and the potential slowdown in China. Alongside the main event there are a wide selection of seminars, social events and gatherings hosted by individual metals companies. LME Week is guaranteed to be a highly interesting occasion for industry participants and observers. At Matchpoint Recruitment, we continue to see consistent demand for experienced and talented metals traders, with a notable recent spike in roles which are focused on secondary (or recycled) metals. This is a sector that has seen rapid recent growth as the global economy develops and reshapes over time. 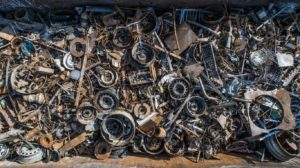 A recent report by Markets and Markets Research highlighted that the global market for metal recycling is expected to grow to USD 406.16 billion by 2020. There are a number of important factors that have contributed to this expansion. The world is experiencing an increased focus on sustainable resources in all sectors, whilst at the same time the demand for metals for industries such as building and construction and the automotive industry continues to grow. 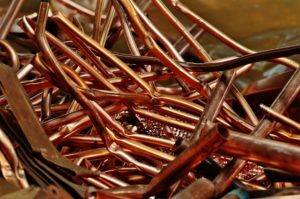 Production of new metals is not economically or environmentally viable for all of our needs, so the trade in secondary metals is becoming increasingly important. There have also been changes to some of the major metal consuming economies in the world. China and India have both seen the development of increased spending powers over recent years leading to higher requirements for metal. At the same time these nations are becoming increasingly aware of the need to focus on recycling and waste management in order to continue the sustained growth of their own economies, as well as to respond to the needs of more developed countries. The increased focus on environmental management and the growing need for recycled metals, has also led to companies in Europe, and specifically in the UK, to begin planning to build local re-smelting plants to respond to need. This highlights the growing, shifting and developing nature of the industry and this is a pivotal time where talented traders are in great demand. Because we operate at the cutting edge of Commodities recruitment, we are continuously talking to key players in the industry. Secondary metals traders are always in great demand and at the moment we seeking an experienced metals trader for a specific role in Luxembourg, as well as speculatively seeking talented metals traders for a major player in London. If you are interested in a specific position or would like to have a conversation about the next step in your career – get in touch with us today. Graduate recruitment – what are financial services employers looking for?